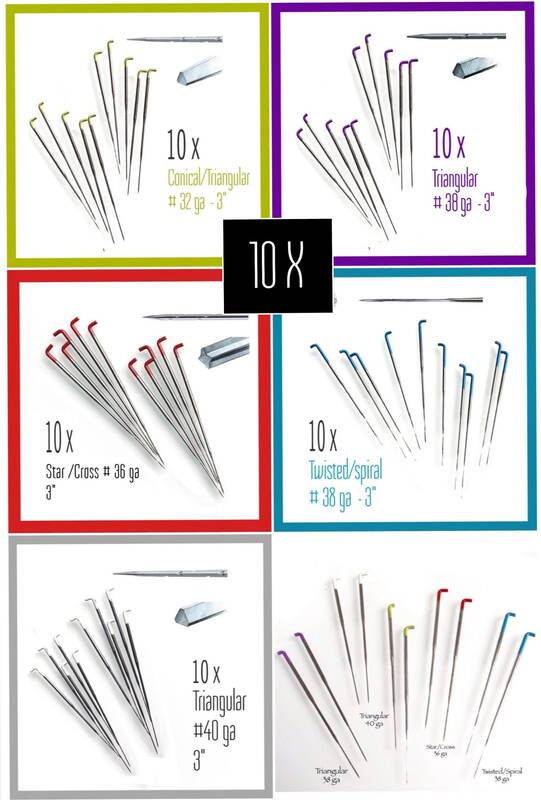 This listing is for the purchase of 10 needles of your choice. If you want a larger quantity, please contact me in order to have a quantity price. 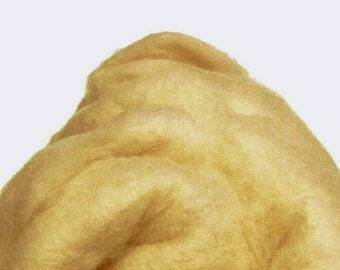 - Conical Triangle (Green tip): 32 Gauge, 3 barbs a side – For coarse fibres and fast shaping. 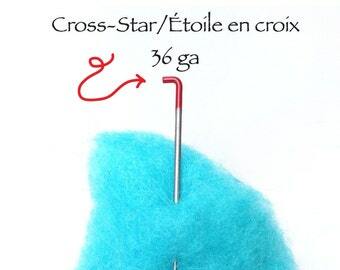 - Cross Star (Red tip): 36 Gauge Star - 2 barbs a side. For a faste starting. 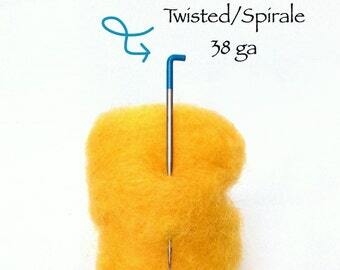 - Twisted/ Spiral (Blue Tip): 38 Gauge - 2 barbs a side and a twist in the needle - For a smooth working and finishing. 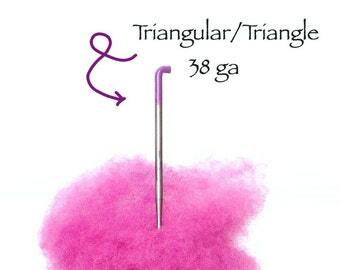 - Triangular: 38 Gauge (Purple tip) - 2 barbs a side – For details and finition. - Triangular: 40 Gauge (White tip) - 2 barbs a side – Extra fine, for fine details and finition. 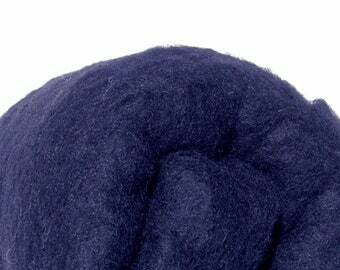 My felting needles are made by a company from Germany which produces the highest quality of needle for felting. Their needle are stronger than others because they have been heat treated to strengthen them. (Please don’t buy needles from China, they break so easily). 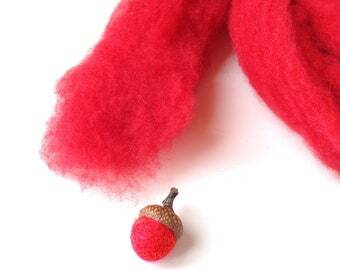 Felting needles are very delicate and break easily if not used properly. Make sure you are stabbing in and out at the same angle, not twisting or bending the needle. 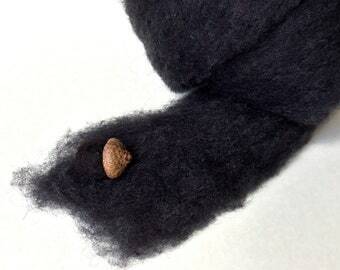 If the needle won’t go into the wool easily, don’t force it! Either change to a finer needle. The mat you felt on should be thick enough to allow the needles to not hit the hard surface under the pad. This is the most common way to break needles. 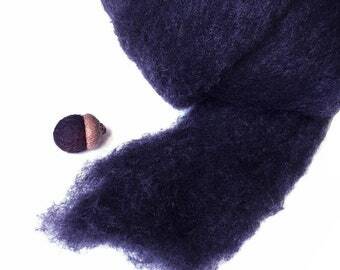 Felting needles are for dry felting and will rust if exposed to moisture. SHIPPING: If the shipping cost is less than the amount you have paid, I will REFUND YOU the difference. Best Needles I have found! I am a repeat customer, best needles I have found. Highly recommend! 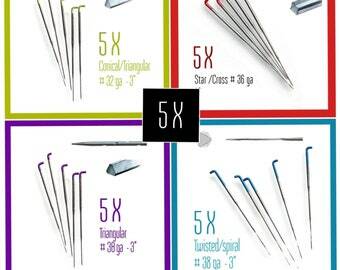 5X or 10X Triangular felting needles. 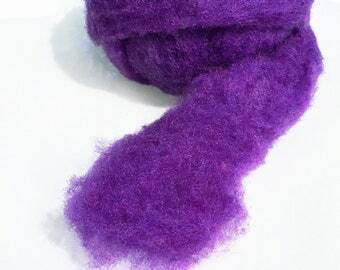 38 gauge Needle for felting, 3 in long. Medium size needle. 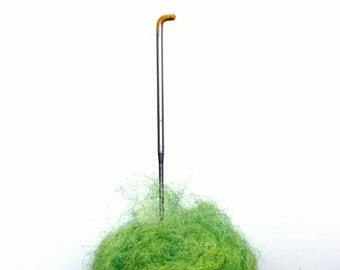 Triangle felting needle.